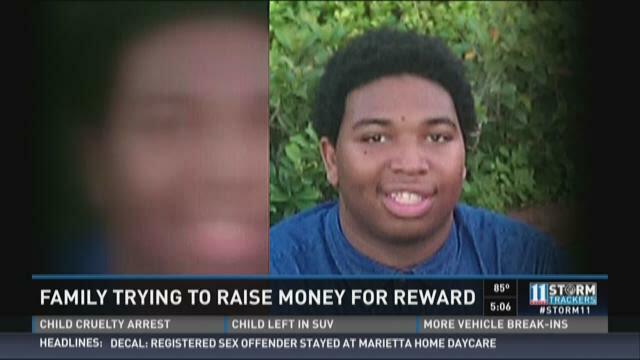 LITHONIA, Ga. -- The family of a 20-year-old man stuck and killed by a hit-and-run driver is hoping that a reward will help solve the crime. Jonathan Walton was hit by a vehicle early Sept. 7 as he rode his skateboard. He later died at the hospital. Police still have no leads in the case. A witness described the vehicle that struck Walton as a white or light-colored mid-size sedan. The vehicle will likely have had front end damage on Sept. 7. LITHONIA, Ga. – The family of 20-year-old Jonathan Walton is begging the driver that hit and killed him to come forward. Walton was declared brain dead at 4:26 Tuesday afternoon. Police are still looking for the driver responsible for his death. STONE MOUNTAIN, Ga. (WXIA) -- A Stone Mountain man was arrested after attacking a school bus carrying elementary school students Wednesday morning. He told police it was because the bus was speeding. Bus driver Tonya Thompson was picking up children on Noblett Road and Old Tucker Road before heading to Mountain Park Elementary. At 7:36 a.m., a man stopped in front of the bus. She stopped to avoid hitting him. Thompson told police the man started hitting the hood of the bus, and then banging on the door. He was yelling and trying to pry open the loading door. Thompson said she was scared, and didn't know why he was trying to get on the bus. She asked him to step away from the bus, but he wouldn't. He kept banging on the door and pulling it until he broke the handle. DEKALB COUNTY, Ga. -- DeKalb County police say two men killed in an apparent drive-by shooting were struck by a friend who fired at the passing car. It happened early Wednesday in the 4600 block of Eberline Court near Stone Mountain. A police spokesperson said a silver Jeep Cherokee drove by a group of people standing outside a home, and someone in the Jeep opened fire with a shotgun. Christian Davis, 21, returned fire. Police said bullets from Davis' AR-15 rifle struck two his friends standing outside with him. LITHONIA, Ga. -- DeKalb County Police are looking for a man reported missing earlier this week. Elijah Shuler was last seen Aug. 15 by his mother, who said he went to his job at the Pizza Hut in the 2700 block of Evans Mill Road. He never returned home. Shuler, 23, spoke with his mother for the final time at around 9 p.m. She reported him missing two days later. The missing man is black, 6 feet 1 inch tall and 210 pounds, with black hair and brown eyes. He was last seen wearing his Pizza Hut uniform. Shuler drives a gold four-door 2006 Honda Accord. Investigators do not suspect foul play in his disappearance. Anyone with sees Shuler is asked to call DeKalb County Police at 770-724-7600. DEKALB COUNTY, Ga. – Police are searching for two men suspected in a pair of carjackings in DeKalb County. According to police, a man told investigators that he was on his way to pick up his girlfriend when he offered two men a ride on Waldrop Lane. Once inside, one of the men pulled out a gun and demanded money. He told the victim to pick up his girlfriend so he could rob her as well. Police say the victim eventually jumped out and ran into a restaurant in Lithonia to call police. Investigators say the suspects ran off and then carjacked a woman in the drive-thru of a fast food restaurant on Stonecrest Circle. Her car was later found abandoned on River Road near Walbash Lane. There were no injuries. No suspects have been identified or arrested. GWINNETT COUNTY, Ga. -- The Gwinnett County Fire Department battled a small fire at a Stone Mountain-area apartment complex Monday morning. Gwinnett County Fire Capt. Tommy Rutledge said the fire broke out shortly before 10:30 a.m. at the Grove at Stone Mountain Apartments in the 1900 block of Glenn Club Drive. A 911 caller reported smoke pouring from a window. Responding crews found flames and smoke inside one ground floor unit. "Firefighters worked fast and contained the fire to the unit of origin," Rutledge said in a statement. No one was hurt in the fire. Rutledge said the cause appeared to be a halogen lamp that was left on and fell against a mattress.